– 5 Acre Shaker Battle of the Bands Winner 2018 ! 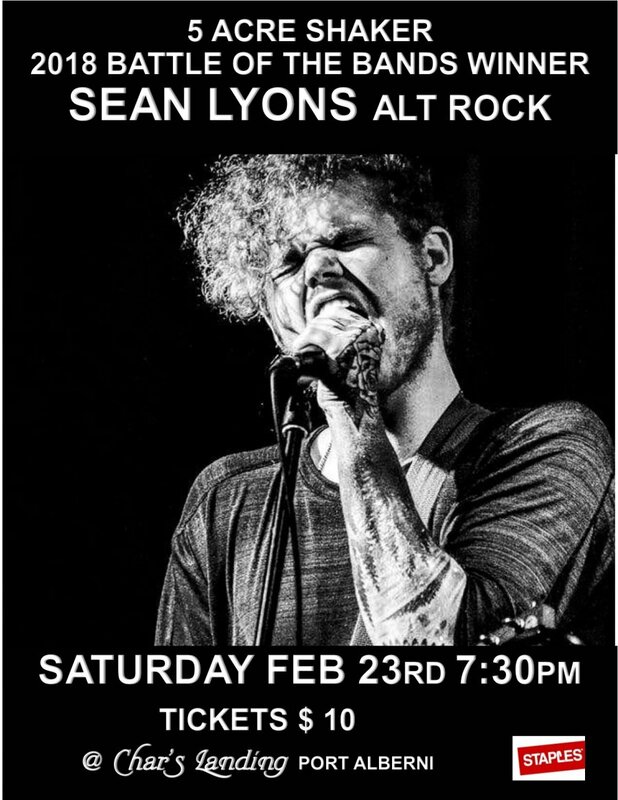 Sean Lyons is a 23 year old alternative artist from Port Alberni, the heart of Vancouver Island. He has established himself as a well known musician around the Vancouver music scene through an ambitious series of passionate live performances, persistent audio releases via well known streaming platforms (ITunes, Spotify, etc.) and music videos that can be found on YouTube. Sean is the first place winner of the 2018 The Zattzoo Project- Association in Port Alberni https://www.facebook.com/ZattzooProject/ , a competition which landed a spot for his band "Sean Lyons and the Good Boys" in the 2018 Five Acre Shaker Music Festival later that year. Since then, he has been working with a variety of producers for new songs to be released this year. 2018's "Roller Coaster" touches on a variety of genres, catchy vocal melodies and impactful lyrics such as those on the EP's title track "Roller Coaster". The song sheds light on the current fentanyl crisis that's been going on, a subject Canadians are all too familiar with. We found new ways to get high"
"Roller Coaster" can be found online through a variety of platforms such as ITunes/Apple Music, Spotify. Google play, Deezer, SoundCloud, and Tidal under the artist name "Sean Lyons". Wide variety of table top games adn RPG available.